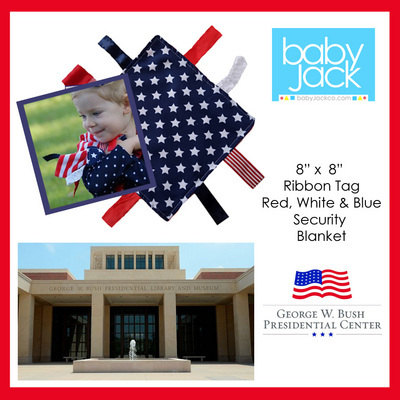 Its a perfect first and forever security blanket that can grow with a child. Accented with ribbons sewn shut for safety, this unique design ensures that little fingers do not get intertwined in ribbon loops. The variety of textured ribbons encourage tactile play. Children develop cognitively, socially and emotionally through sensory interaction.Each product comes with a teething toy link to clip to strollers, car seats and or baby carriers. Toy links are non toxic and BPA free. Measures 8 by 8. Made in USA.